Home/Uncategorized/How Do You Get Rid of Credit Card Processing Fees? If you’re a traditional brick-and-mortar business—think retail, restaurants, spas and salons, etc.—then you probably accept credit and debit card payments, which means you pay credit card processing fees. You may even let customers swipe with Square to make your life easier…or so you think. I’ll let you in on a little secret. These types of brick-and-mortar businesses are 100% of our customer base (in fact, Nadapayments recently reached the $1 billion in payments processed benchmark). And do you know what all of these businesses have in common? Before they came to Nadapayments, they were all wasting an absurd amount of money on credit card processing fees each year. It’s crazy how much money these guys were burning when they didn’t have to. Here’s the thing: credit card processing fees don’t seem that high at a glance, but they really add up over time. In fact, over the lifetime of any brick-and-mortar business, credit card processing fees add up to about 3% of all incoming profit. Let’s go on a journey and explore what this means for your business, how much you’ll end up paying by the time you retire…and what you can do to stop the bleeding and enjoy FREE credit card processing. How much are your credit card processing fees? If you’re using one of the four major credit card networks—Visa, Discover, MasterCard, and American Express—you’re likely paying anywhere from 1.5–2.9% in credit card processing fees. And unless you’re going through a trusted merchant services provider like Preferred Merchant Services, you’re probably paying closer to 2.9% per transaction. As it turns out, credit card processing fees are pretty complicated. 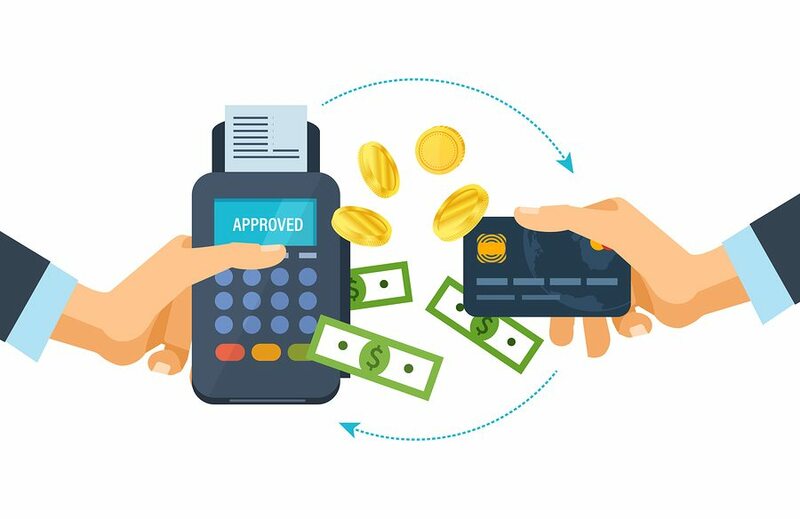 Not only are business owners charged a transaction fee, which is assessed each time you run a transaction, they are also charged flat-rate scheduled fees that show up on monthly statements, as well as incidental fees (for example, every time you get a chargeback you’ll be charged an incidental fee). Payment gateways: if you accept PayPal or are using Square, for instance. Your hard-earned money changes a lot of hands before it arrives back in your wallet. Exactly. It is the same percentage that PayPal and Square charge, which is exactly why it isn’t a good deal for you (more on this later). What about debit card processing fees? Great question. Debit card processing fees are charged by the same major credit card networks, and work out to 0.05% plus 21 cents and a 1-cent fraud-prevention adjustment, if eligible. 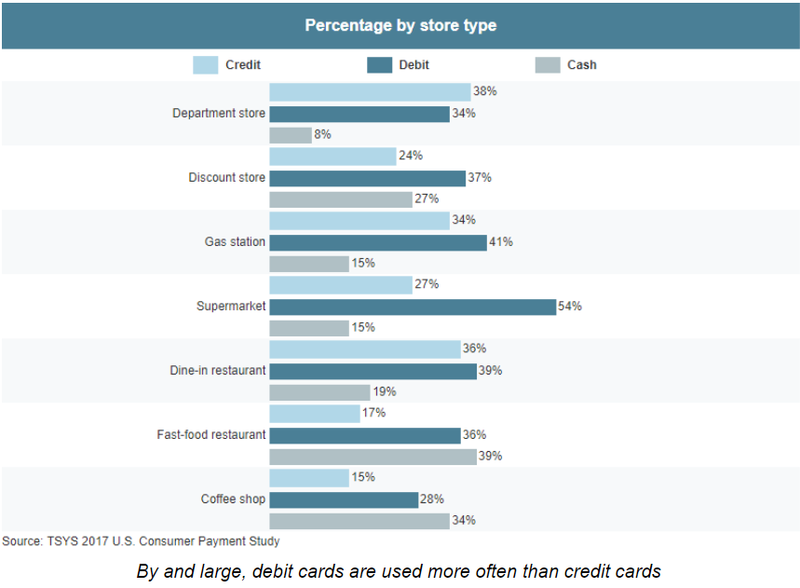 While debit card processing fees are lower than credit card processing fees, 38% of all non-cash payments are made with debit cards. So these fees still make up a big portion of all your payments. And whether you accept payment via credit card or debit card, card processing fees are largely unavoidable and non-negotiable because of interchange fees. 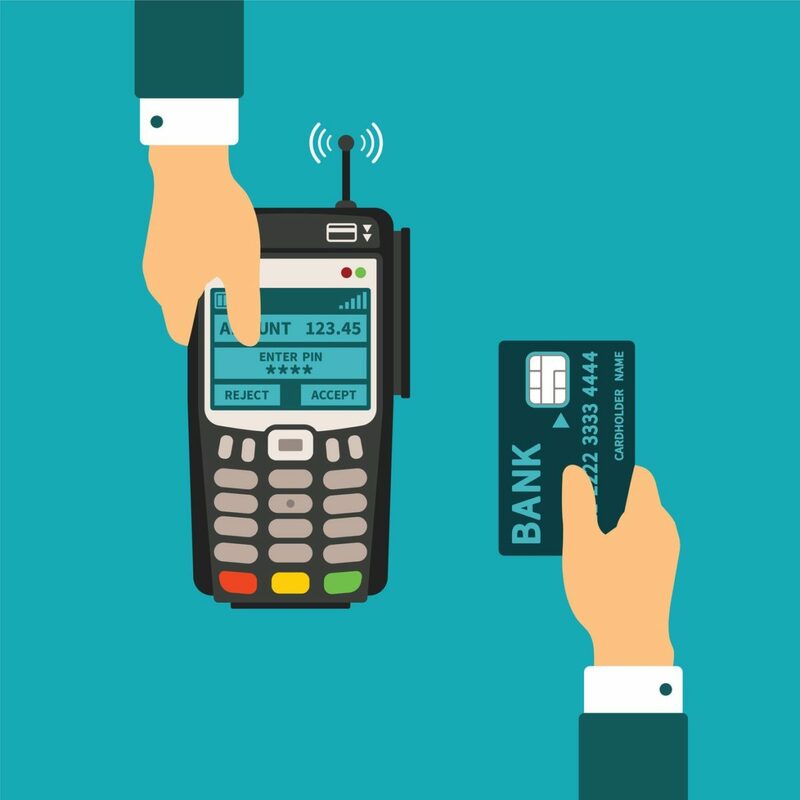 Interchange fees are charged by card networks to merchants for their services, and average out to around 1.81% for credit cards and 0.3% for debit cards. The rest of the credit card or debit card processing fee comes from adjustments and markups between the card issuer, payment gateway, and card processor. What about PayPal and Square? 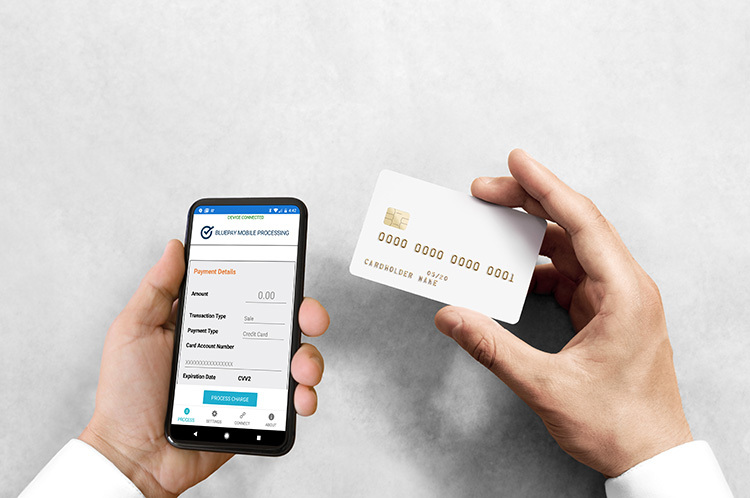 Some business owners prefer using PayPal for online payments and Square for in-person card processing because they’re both provided managed payment gateways that make your life easier. And while no one would ever blame you for trying to make your life easier, you should be aware that your credit card processing fees are usually even higher with these alternatives than with actual credit cards. Aside from PayPal and Square, there are several other credit card processing options. But none of them will really give you the best possible deal your money can buy, which is FREE credit card processing (more on this later). What percentage of your sales are through cards? At this point, you may be wondering how many of your transactions are processed using credit cards and debit cards. Fortunately, a comprehensive study on payment methods gives us all the information we need. In 2017, payment processor TSYS conducted a survey of over 1,000 consumers to see which methods of payment they preferred depending on the business type. The overall findings were that 44% of all payments were made with debit cards, 33% of all payments were made with credit cards, and only 12% of all payments were made with cash. Debit cards are the preferred method of payment for smaller, daily purchases at places like gas stations and supermarkets, while credit cards are the preferred payment method for larger, more infrequent purchases at places like department stores. But before we can calculate how much the average small business owner processes with credit cards and debit cards, we need to know how long they’ll keep their doors open. How long does a small business stay in business? Back in 2017, more small businesses were closing than opening in most metro areas for the first time in decades. 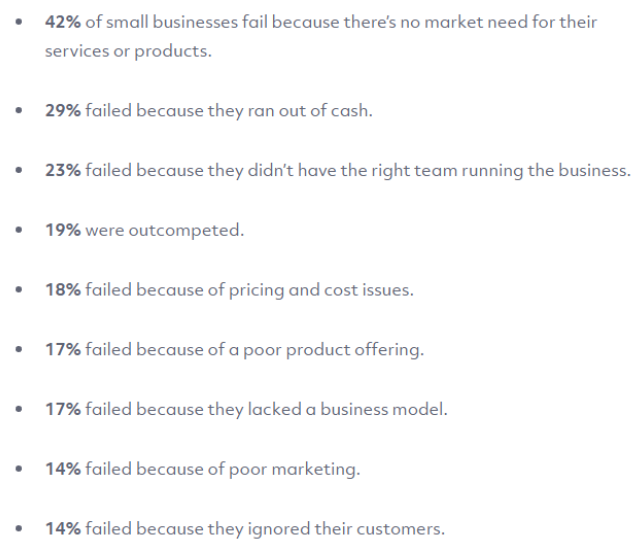 This finding is a pretty good illustration of how much of an uphill battle starting a new business can be for most entrepreneurs. According to the Small Business Administration (SBA), 20% of small businesses fail in their 1st year, 30% fail in the 2nd year, 50% fail after five years, and 70% of all small businesses fail by their 10th year in business. With odds like that stacked against business owners, it pays to know how to stop the bleeding. These findings were also consistent regardless of the larger economic factors at play. So you can bet on the 80%, 70%, 50%, and 30% survival rate across 1, 2, 5, and 10 years in business—no matter the industry or the year. With findings like that, it pays to pay attention to your expenses—and keep them as low as possible. Whether you’re a single-person LLC or a business with multiple employees, chances are you’re making between $27,000 to $157,000 per year, according to Payscale. In fact, the median salary for a small business owner/operator in 2018 was $60,451, including profit sharing and commission when applicable. Let’s assume you’re on the higher end of this spectrum and take home $157,000 per year after taxes and all other expenses except for credit card processing fees and debit card processing fees. Let’s also assume that you’re in the 30% of business owners who survive after 10 years in business. In fact, you’ll be in business for 30 years before you retire. Since we can’t calculate how many transactions you’ll have over the lifetime of a business, we won’t factor in flat transaction fees—we’re only going to consider percentage fees. As you can see, credit card processing fees and debit card processing fees can add up to quite a lot. In our example, a business owner making $157,000 per year will lose $1,848 per year to processing fees, and as much as $55,437 over the course of 30 years without factoring in things like growth. But if you do factor in even modest year-over-year growth—the total cost is exponentially higher. Also keep in mind that these figures multiple depending on annual income. So if a business owner makes 10x more, then the processing fees are 10x higher. What could you do with an extra $55,437 per year? Wonder how much you could be putting back in your pocket if you didn’t have to pay credit card processing fees? Use this nifty calculator to figure out how much you’re paying in credit card processing fees each year. As you can see, it doesn’t make sense to pay that much for credit card processing. The fees are just too damn high. You should consider a cash discount program, instead (to learn more, just click here). A cash discount program is exactly what it sounds like: Your customers get a discount on their purchases for paying in cash rather than card. As part of the Dodd-Frank Wall Street Reform and Consumer Protection Act, the Federal Trade Commission has given businesses the ability to offer customers a discount for using a certain method of payment, just as long as the offer is available to every customer and is displayed “clearly and conspicuously”. A payment card network (PCN) can’t stop you from doing this. This means you can still accept credit card payments while incentivizing customers to pay in cash, which is why a cash discount program is a win-win for both businesses and customers. It’s essentially FREE credit card processing.